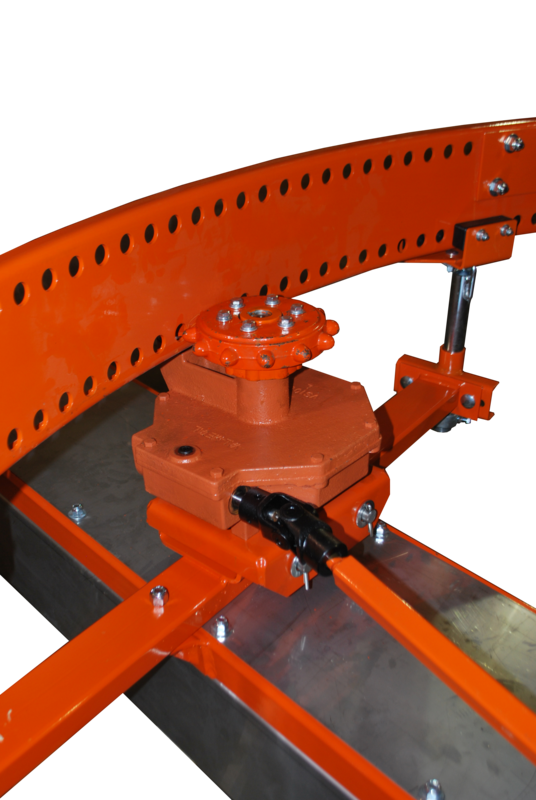 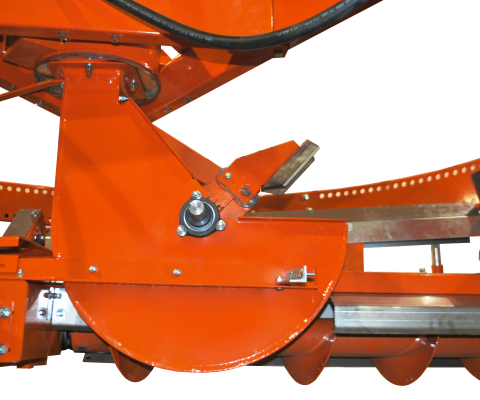 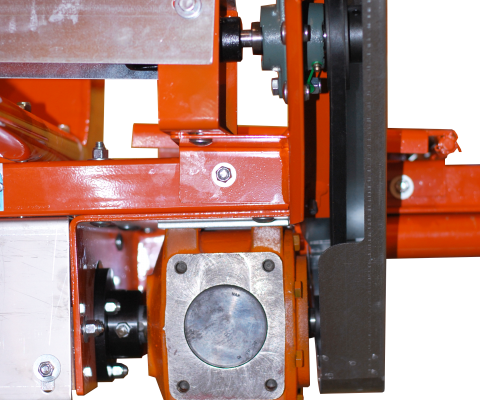 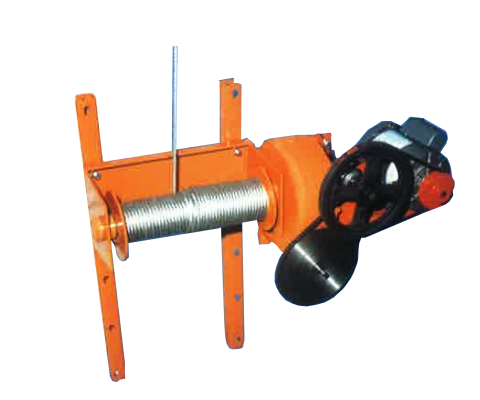 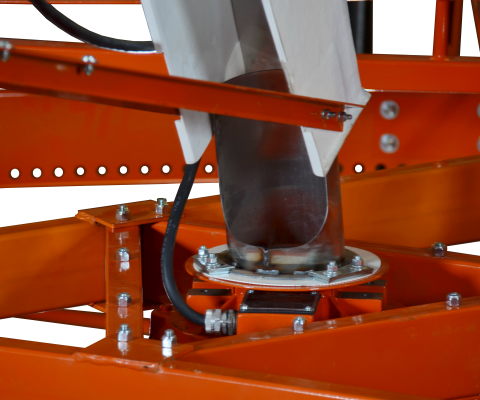 The heavy chipper wheel is made of ductile iron to resist shocks. 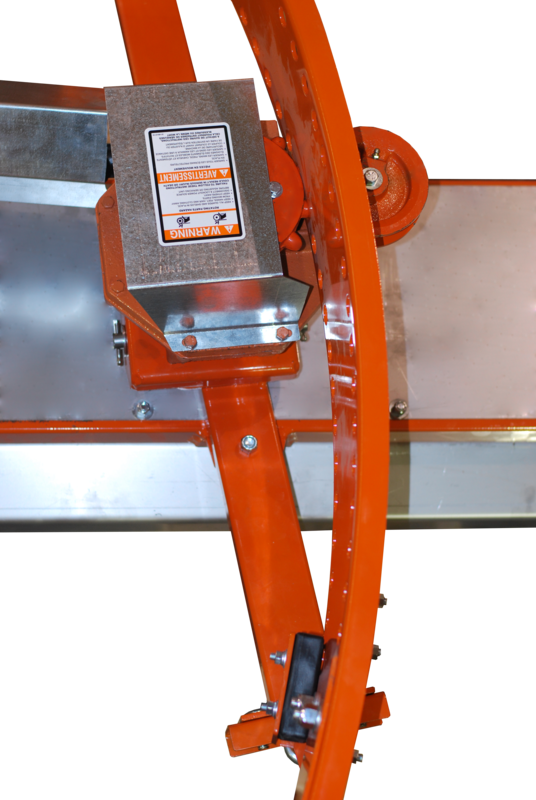 Six self-sharpening hardened steel blades remove silage that clings to the wall. 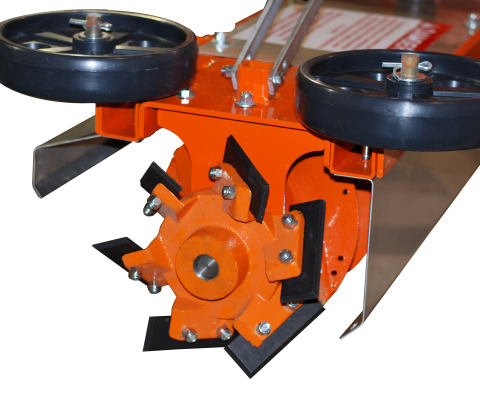 The 26'' high capacity blower with 3 stainless steel adjustable paddle rotating at 1,225 RPM for 8,330 feet per minute tip speed. 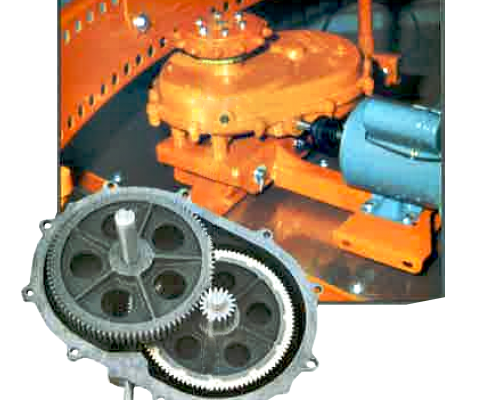 A positive ring and gear drive system provides steady, even cutting under all condition. 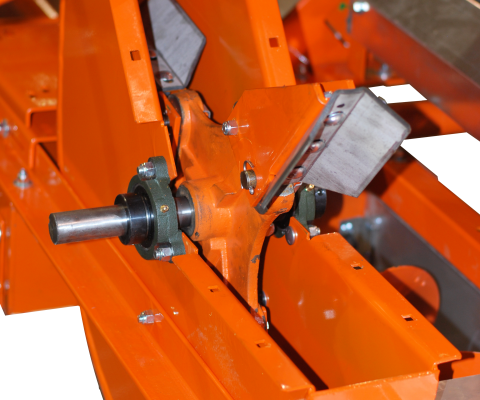 Sprocket is driven by a 100:1 worm gear reduction on a shaft from the auger gear box. 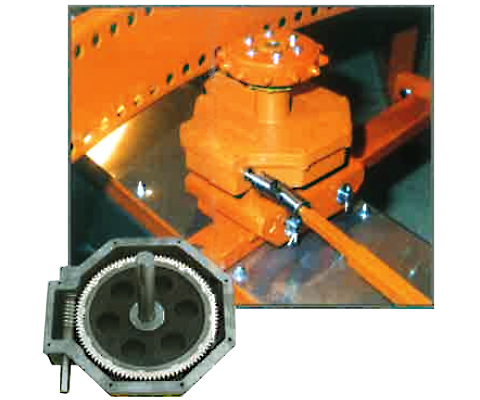 A reliable industrial coupling between motor and the 500:1 gear box assures positive drive. 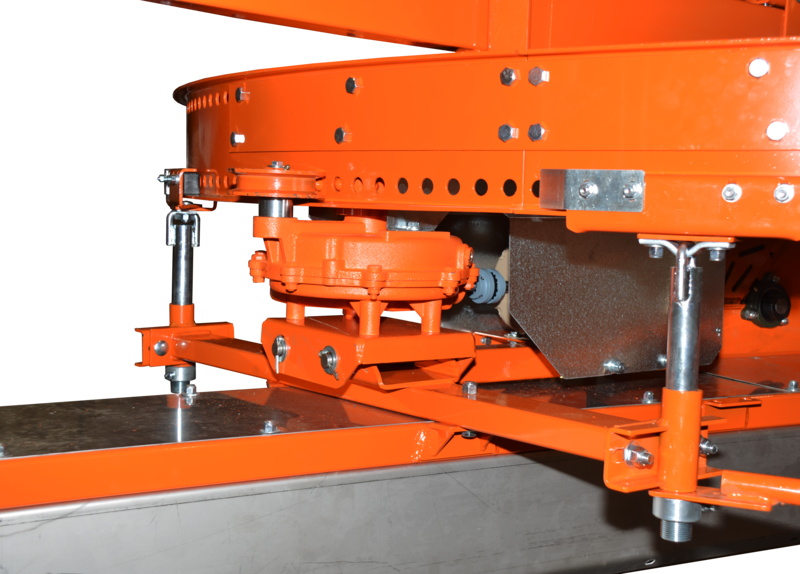 This model require less power during distribution. 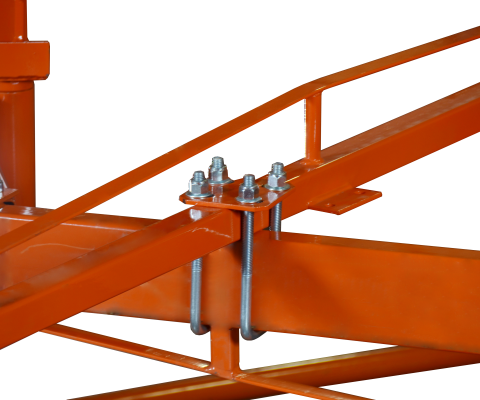 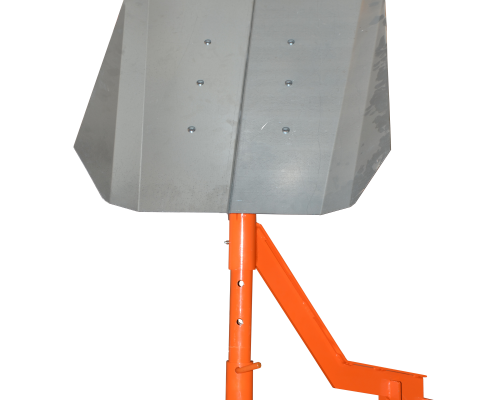 Stainless steel chute base resists wear corrosion. 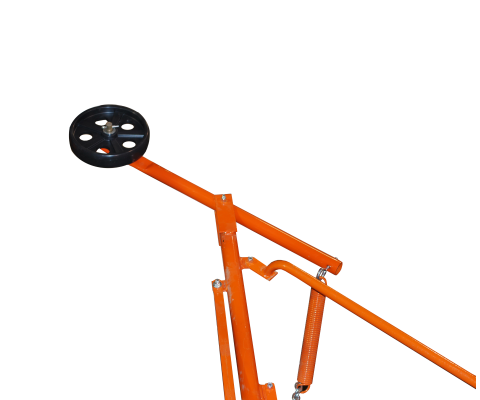 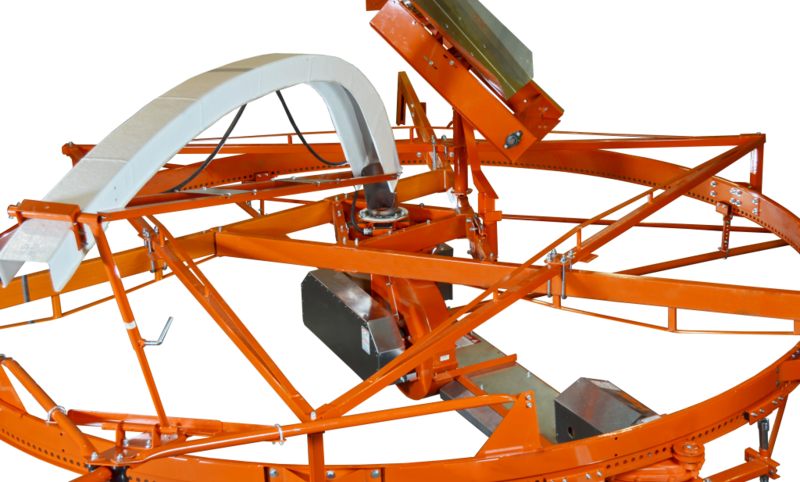 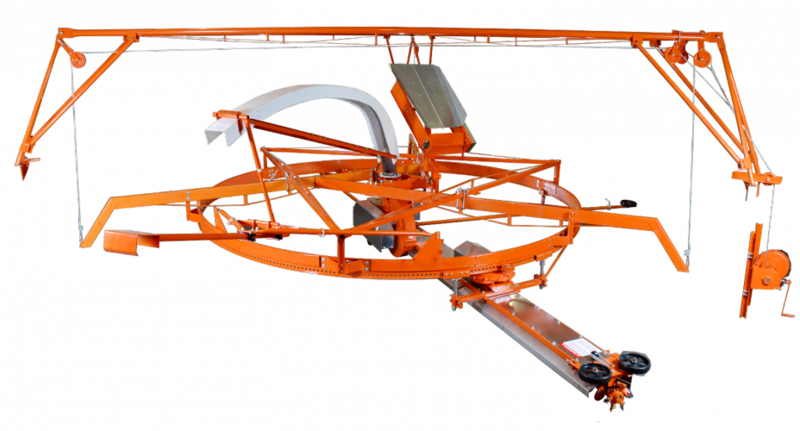 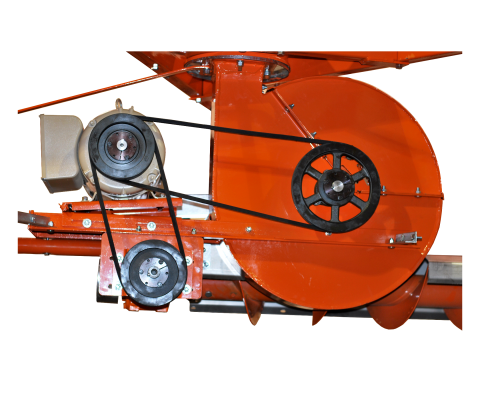 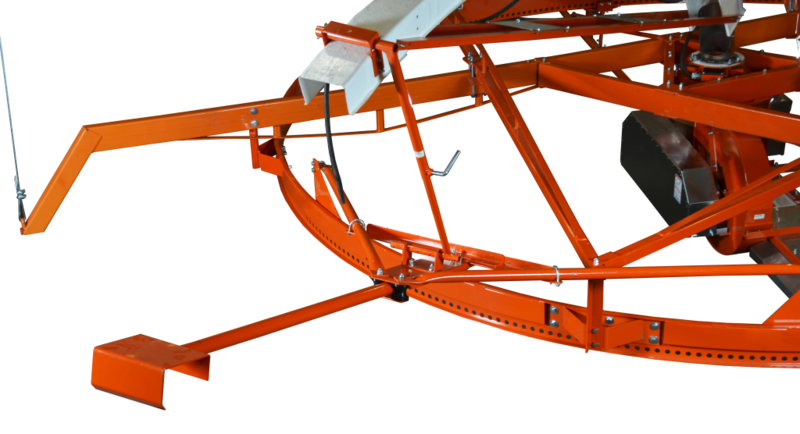 Its unique inclined design automatically sets the silage flow for maximum throwing performance. 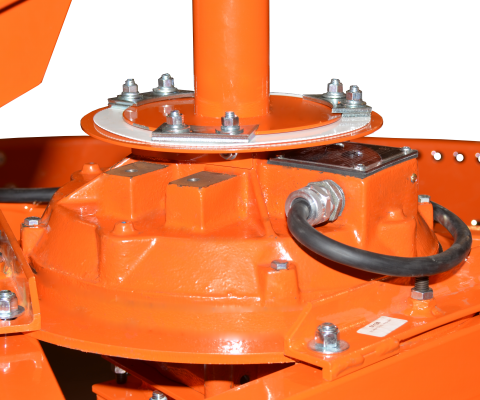 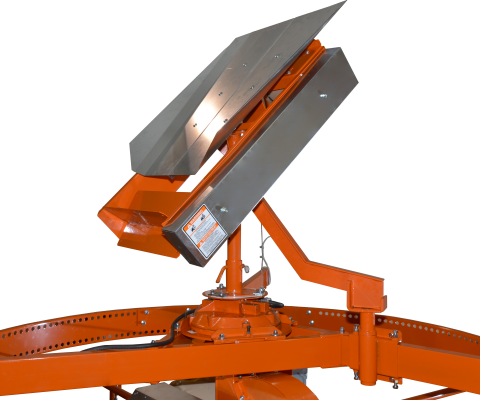 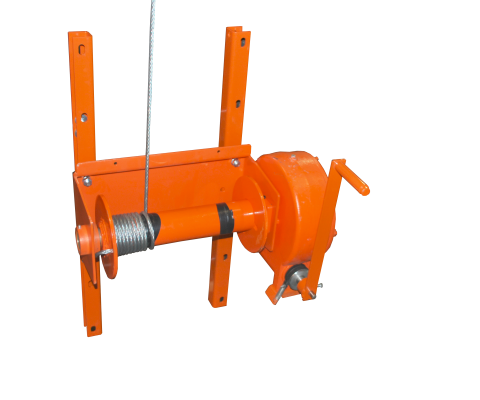 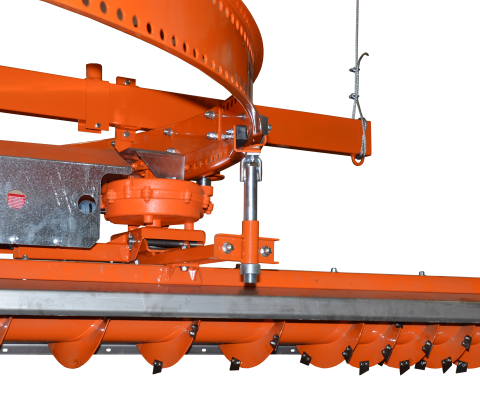 In small diameter silos (12' to 16'), the gravity type distributor is normally sufficient to achieve a uniform distribution all the way to the top.